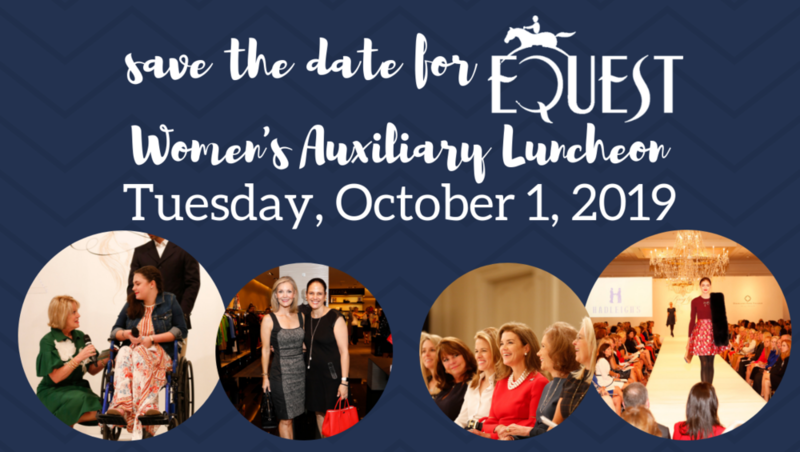 Equest heavily relies on our Women's Auxiliary for branding, fundraising, and throwing one of the biggest events of the year. Joining an auxiliary is a great way to support Equest, and make some new friends along the way. The annual Women's Auxiliary Luncheon and Fashion Show benefitting Equest's programs. The Equest Women's Auxiliary (WAUX) was founded in 1986 by Louise Griffeth with the purpose of supporting and promoting Equest. WAUX operates as a separate entity, with their own bylaws, board of directors, and bank accounts, but are subject to Equest's policies and bylaws as well. What began as a small group of women with good intentions of providing support to Equest has grown into an Auxiliary with a membership of over 250 women, and a signature event that in the last few years in particular, has surpassed its prior year event total by double digits. Each Fall, the Women's Auxiliary Luncheon and Style Show is chaired by a prominent leader in the Dallas community. In 2000, the board of the Equest Women's Auxiliary, in honor of its founder who has championed the cause of Equest since its inception, created the Louise Griffeth Award for Community Service. This award recognizes an individual for their vision, commitment and leadership in the community.